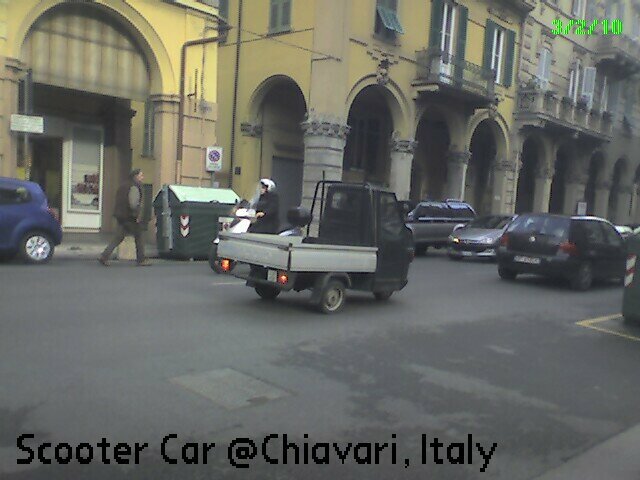 Arrived at Chiavari, Italy on 3 Feb 2010 by train at 2.30pm & met by Sonia who lives in Chiavari. 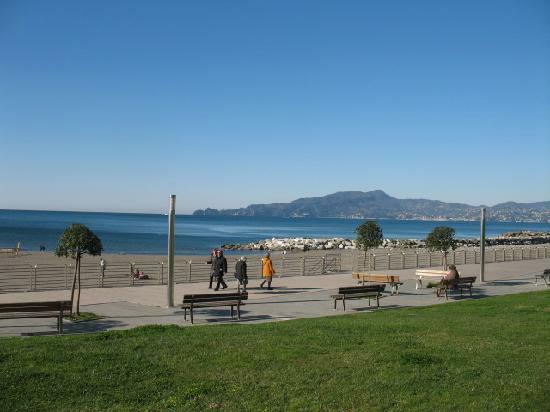 Chiavari is shielded by Gulf of Tigullio. Sonia dropped us off at our hotel before she headed back to work. After settling into our lovely hotel, we Went around looking for hot lunch but we found that most hot food places stopped serving at 2.30pm. We were starving fro a hot meal and finally we did find a place that served hot food even though the signs says otherwise. Prices of food& drinks & coffee etc are the same Melbourne. Had one of the best Lasagna, creamy & soft. Also had coffee gelato (real creamy ice cream, not like gelato in Melb). Later in the evening, Sonia & Omar took us to eat at a famous local cafe restaurant where they serve the local specialty. 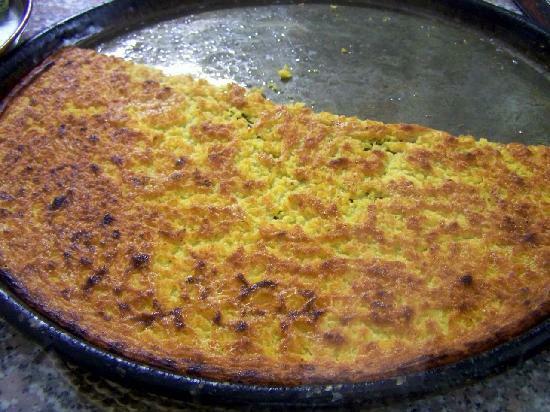 we had a kind of flat veg fried chickpea dough. It is amazingly tasty. Next course was mussels with baked cheese and aubergine with seafood followed by anchovies with bread & butter. A bit salty but very nice indeed. We had this amazing dessert, a chestnut cake! Made me wish I am back there, just thinking about the cake!. We had coffee in another cafe. This cafe literally sold many different type of chocolates from various countries. I asked for hot chocolate without cream and it is literally dark chocolate drink. I had to add my own sugar. If you want white coffee or white chocolate, you have to take it with whipped cream. 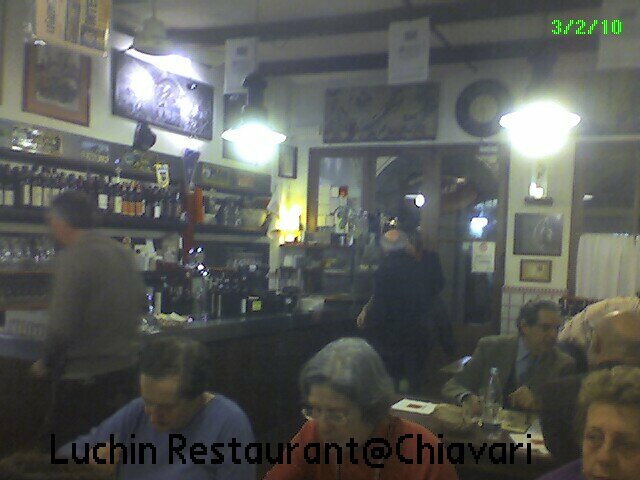 That is how it is serves in Chiavari. 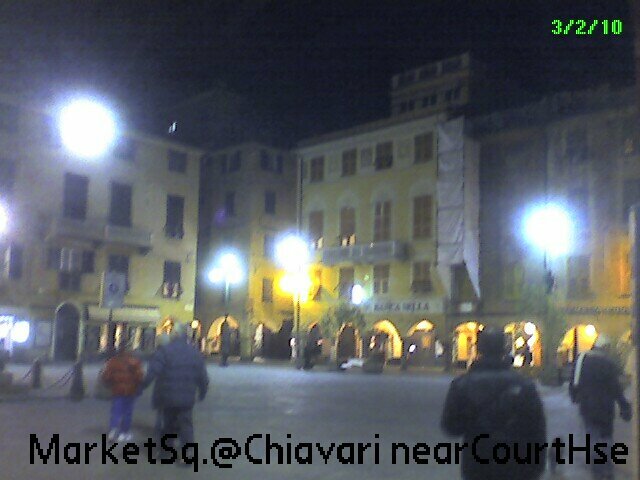 After our dessert, we decided to walk around the market square called Piazza Mazzini. It is next to old courthouse dated back 1404 (open everyday). In the morning, the market sells fruits vegetables and lovely variety of sweets. I noticed that some of the buildings are renovated and because they cannot matched the design structurally, they painted on the walls. Some building Walla are even painted with fake windows with flower pots!. Very interesting indeed. I believe this is to blend the old & new buildings. The doors of most building looks really ancient. The old buildings are ornate looking and I noticed that even the ceilings of all the apartments are painted with pictures. Chaivari is not a place one would visit as a tourist whilst traveling in Italy but I have found Chaivari to be a wonderful seaside place to visit. No wonder the locals from other parts of Italy such as Milan Rome Florence flock to this area during their summer holidays. Many of them have bought their own holiday villas/apartments here. I spoke to a few locals who used to worked in Milan and Rome. 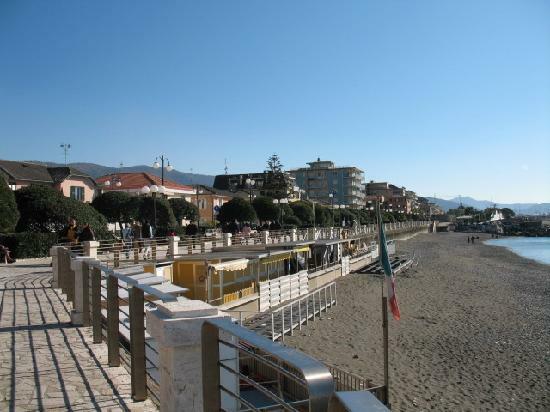 However they had now settled in Chiavari for a lifestyle change. A great decision if I may say so. Next day we board the train from Chiavari to Pisa (2 hours train ride) We had missed the earlier train which is an express as our friend forgot his guitar so had to wait for him to go back to hotel to pick up his guitar. Train fare costs Eur11 plus Eur5 extra for booking fee per person (single journey). Do remembered to validated tickets at station for each ticket. This is how the train system in Europe works. Similar to most countries. 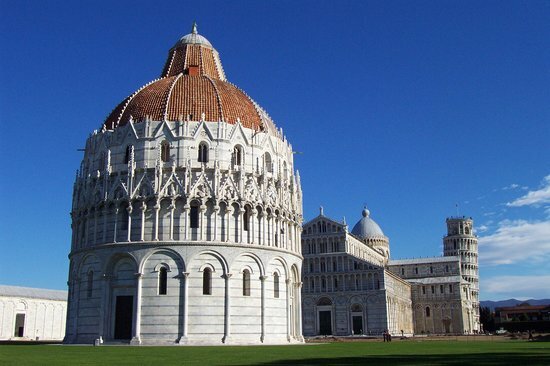 The weather that day was not sunny but it was still lovely to travel to Pisa as it was not too cold. Upon arrival at our destination, just outside the station, a few minutes walk away, is a tourist information office where you can get a map in English. 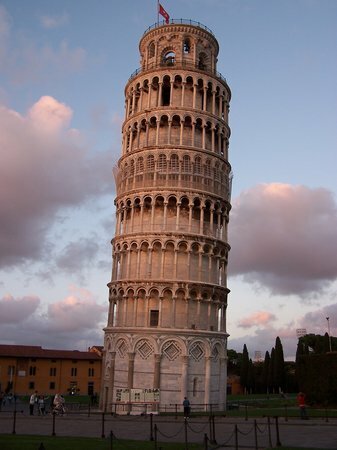 You need about 3 hours to walk around especially on the pedestrian walk/path around town with shops on both side of pedestrian mall and about 1 hour in Pisa (take half hour to getup to top of Pisa tower & down) The steps up the Pisa tower is 2 person wide & the 300 steps to the top. The steps are actually wide for a short person, not normal size steps, thus it can be very tiring walking up these steps to get up to the top. I am scared of heights, thus you can imagine how I felt: queasy just standing outside near the flag at the top. Well at least I can say I did walk up to the top !. 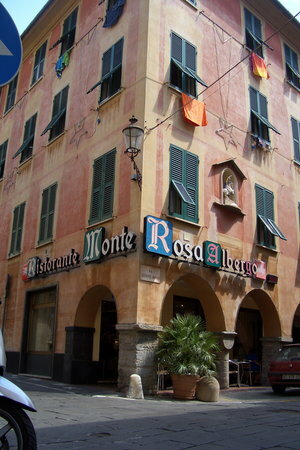 We were going to stay one extra night at Chiavari so that we can visit Portofino but it rained the next day, so we decided to head towards Florence that morning. 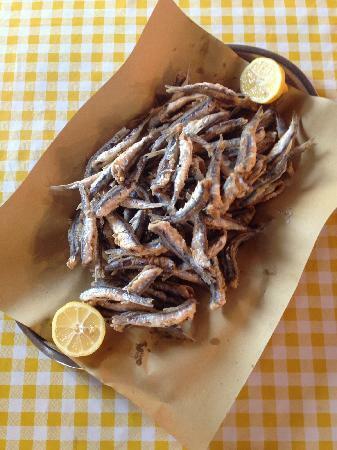 I must say, I had a wonderful time in Chiavari. 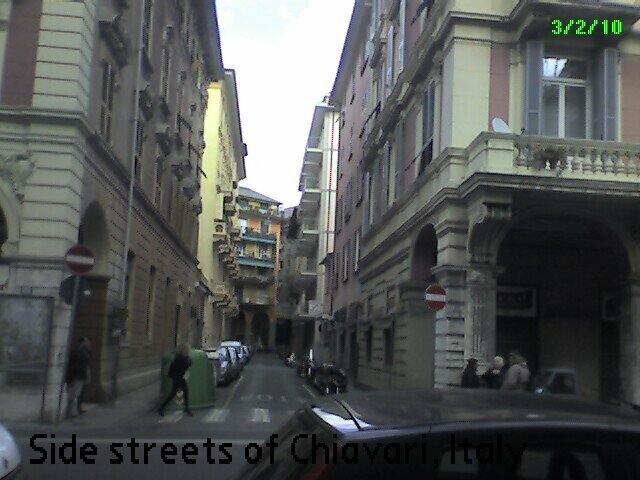 I would never have visited Chiavari if I did not have friends there.